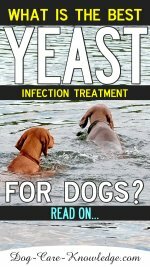 Having dog flea treatment that is effective is important to all dog owners. As dog owners we all love having a dog in our home. They are a joy to the family and maintain a sense of well-being. Sometimes having a dog in your house means you are subject to unwanted visitors. This does not mean your nosy next-door neighbor or the relative that will not go away. This visitor is the flea, known to invite thousands of friends. The flea is a chore to eliminate so preventative measures are much easier to handle. Treating fleas starts with recognizing the need to prevent fleas from ever coming into contact with your dog. 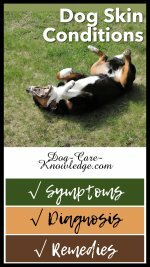 Fleas can be seen on the dog but other symptoms will be itching and scratching especially at the base of the tail. Some dogs will develop severe itching which results in skin abrasions and can even lead to hair loss. 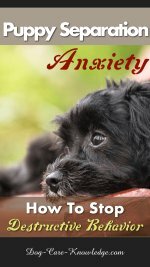 In this case your dog is experiencing an allergic reaction to the flea bite and most probably has a dog flea allergy. The very best treatments for dealing with fleas are the spot-on variety that also treat ticks such as Frontline, Advantix, and Vectra 3D. Follow the application instructions to allow the product to work properly. 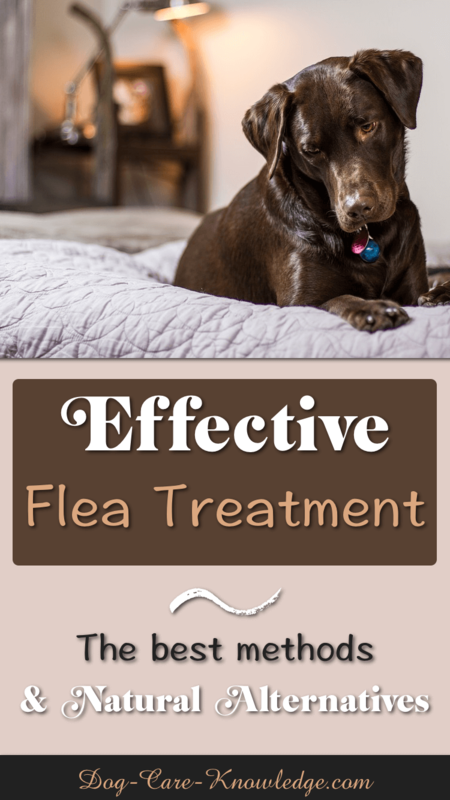 If you use the spot-on treatments on a monthly basis you will never have fleas in your home and will not need to go through the steps to eliminate fleas. My very favorite shampoo for treating dog fleas is Nature's Specialties Super Remedy Shampoo. It contains a mild blend of Melaleuca, Cedarwood and Citronella oils. This blend cleanses the skin, calms the itching, and also provides a natural repellent against fleas, ticks, flies, and mosquitoes. Best of all it's a natural product so is pesticide, Pyrethrin and alcohol free! My favorite natural dog flea treatment that is a repellent, is Vetri Repel Spray. It's totally natural so contains no pesticides or chemicals and is safe even if your dog licks his skin after application. It's not a monthly application but is applied daily before your dog goes out. Spray your dog liberally throughout his skin for maximum protection against fleas, ticks, mosquitos, flies and other pests. Spray directly onto a cloth, cotton wool or kitchen towel and wipe down sensitive areas such as inside ears, around nose and mouth, or armpits. If you see fleas on your dog, then you probably already have them in your home. To be honest, the easiest way to rid your home of fleas is to contact your local exterminator to do the job for you. If your own attempts do not get rid of the problem, calling is a necessity rather than a convenience. For those ready to tackle the problem head on, take all necessary steps to avoid re-infestation. The first thing to do is clean all the bedding. 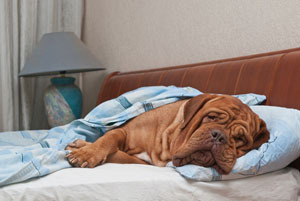 Does your dog sleep or lie on your bed? If the answer is yes, strip off all blankets, sheets, and any mattress cover you have. Wash the items in hot or warm water or take them in for dry cleaning. If your dog’s bed has foam or a non-washable product, the best dog flea treatment is to dispose of it. If this is not practical, vacuum the dog bed and cover with flea powder. Remember the dog will be sleeping here, so use a product that will be safe and not irritate your dog’s skin. The next step is to thoroughly vacuum the house and furniture. Use a crevice tool to clean the baseboards and cracks in the floor, as this is an important part of dog flea treatment. If your furniture has removable covers, wash them in hot water to kill any living fleas or larvae. Perform these cleaning measures inside the car as well. Fleas like to travel, and may jump on you and get to your car. Avoid bringing them back into the house. Use powders or foggers in the home after vacuuming. Read the instructions about proper use of these products. If you use a fogger air out the area afterwards so it is safe for the children and pets to enter. 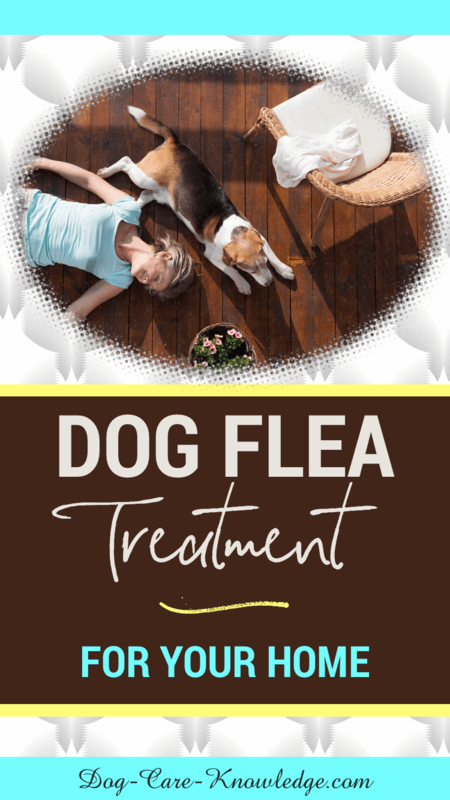 While you are ridding your house of fleas start your dog on a monthly spot-on dog flea treatment. Preferably one that eliminates ticks too. When you do these things simultaneously, it helps eliminate the return of the unwanted fleas.